Derma rollers are used for a treatment process called micro-needling or skin needling. It is a form of collagen induction therapy. The actual derma roller is made up of a small, solid wheel attached to a little stick that propels it backwards and forwards across your face in small sections. The roller is covered with hundreds of minuscule ‘micro-medical’ needles that penetrate the skin, creating lots of tiny micro injuries. Your skin responds by producing extra collagen to ‘heal’ the punctures, and that’s what plumps up the skin again and enhances the natural blood supply – so you get a natural ‘glow’. Depressed acne scars, wrinkles, skin texture and tightness are all improved as a result. A local anaesthetic is applied on the skin to make the treatment comfortable. The skin roller is then passed over the treatment area multiple times. Skin needling can be used to improve the above skin conditions with less risk of skin pigment changes, especially with olive/darker skin types that commonly occur with laser treatment. Usually 2-5 sessions are required for the optimal result. Areas that can be treated are – The face, hands, neck, back and chest can be treated with skin needling; but most commonly, only the face is treated. Suitable candidates for skin needling – Are those with acne scarring, fine lines and those looking to improve skin texture and tightness. It can be used on all skin types and from light to dark skins. As opposed to laser treatments, there is less chance of pigmentation problems after the treatment. It is not suitable for people who have open cuts, wounds or sun-burnt skin. How the treatment feels – Most patients describe derma roller as ‘uncomfortable’ but not painful. To make the treatment comfortable a topical local anaesthetic can be used. Most non-surgical treatments work on the principle of superficially damaging or causing minor trauma to the skin and forcing the body to heal itself by stimulating the body’s natural collagen reproduction. As we know, collagen, God’s gift to good skin, gets reduced and destroyed by age and the sun. 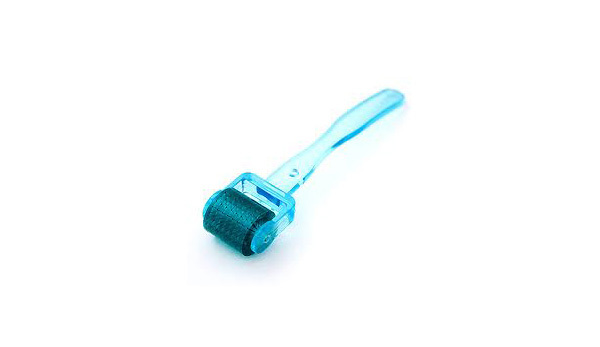 Derma roller also tightens the skin and reduces pigmentation and improves sun damaged skin. Possible side-effects – Generally, you will experience some redness of the skin for a few hours after the procedure. Stop all applications 2 days prior to the treatment day. Use sunscreen regularly before the start of the treatment. If you are on any kind of medication, share all details with the doctor performing the procedure. Do not wear any make-up on the day of treatment. A dermaroller procedure can sometimes have some very short-term after-effects, so don’t be alarmed if you experience redness or irritation of skin for 1-2 days after treatment. Avoid direct sun exposure after the treatment. Use sun screen regularly, SPF 30+ or as advised. Avoid saunas, steam and sunbathing for 7 days after the procedure. You can wash your face 6-8 hours after the procedure, but we recommend using a gentle face wash.
We recommend a gap of 3-4 weeks between the sessions. Post the procedure, remember to use a moisturizer every 6 hrs, for a period of at least 3 days. Avoid applying any applications for 3 days after the treatment. Why Skin & You Clinic For Skin Needling(dermaroller)? The doctors at Skin & You Clinic, Mumbai, carefully assess the condition of your skin and its suitability for the procedure. We take ample time to prepare your skin for the procedure so as to make it comfortable. We only use the highest quality skin rollers to ensure best results. The first step is to simply contact us for a consultation, wherein we will discuss a realistic and achievable outcome from your treatment.